Brisbane Hot Topics Local Support Group is nearing the completion of its digital story project. With the help of staff and students from Griffith University, they have developed our personal stories about how they have influenced change and dealt with challenges in their lives. They are also developing a Brisbane Hot Topics group story. As part of this, they identified their many achievements since Hot Topics began and then voted on the key ones they wished to include in a group story. Highlights included the first housing forum, work speaking up so that people with intellectual disability have a voice in the governance of bodies and organisations, speaking up at the Roundtable for People with Intellectual Disabilities and their visit to the ABC which stimulated our interest in sharing our stories. Their key message is that they want to be seen, heard and listened to by government, politicians, and community members – in fact, Brisbane Hot Topics want everyone to know they are here! 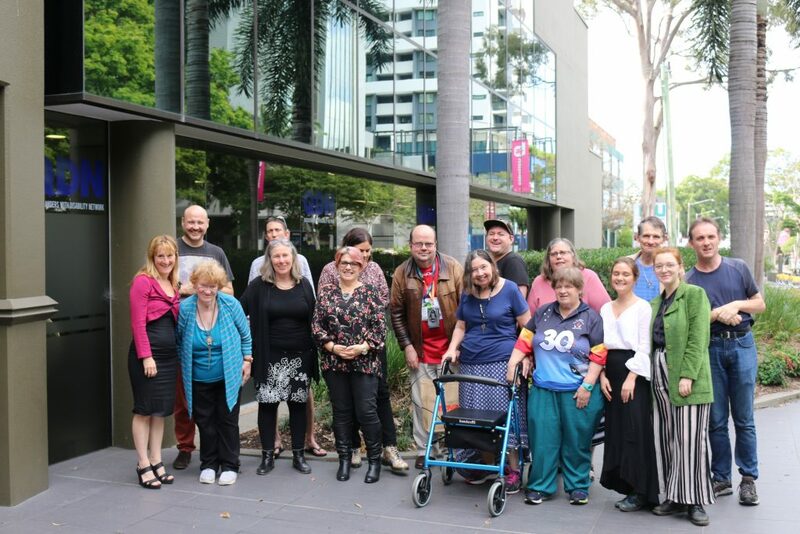 As part of Disability Action Week, this group will be launching the digital stories at Griffith University Southbank cinema at 10.00am on September 11. Brisbane Hot Topics want to thank everyone who has assisted them in making this project such a success.